Rather interesting to see an ancient town presented in such orderly lines. Makes you wonder whether all towns started like this and then just grew and grew and grew and so on until they became the disorderly messes we know all the ancient cities to be. Hahaha! That is interesting, actually. Most of the evidence of viking cities and towns give them clearly laid out roads and land plots. They weren’t perfectly symmetrical or straight, but there were clear boundaries. Huh, that tickles my curiosity. If most of the cities and towns are like that, it points to the expansionist and colonial efforts that made vikings famous. No piecemeal efforts for these guys, they had their stuff together from the start! The development of cities and their layouts is certainly an interesting thing to think about! I imagine the Romans also had an influence on the layout of many cities in Europe. Maybe in the later Middle Ages people ran out of room in the larger cities and things started to become more of a hodgepodge, but I don’t really know. I hadn’t really thought of it before. XD That’s a whole other area of study, I’m sure! Hedeby! Like the island in The Girl with the Dragon Tattoo? Haha, I’m afraid not! 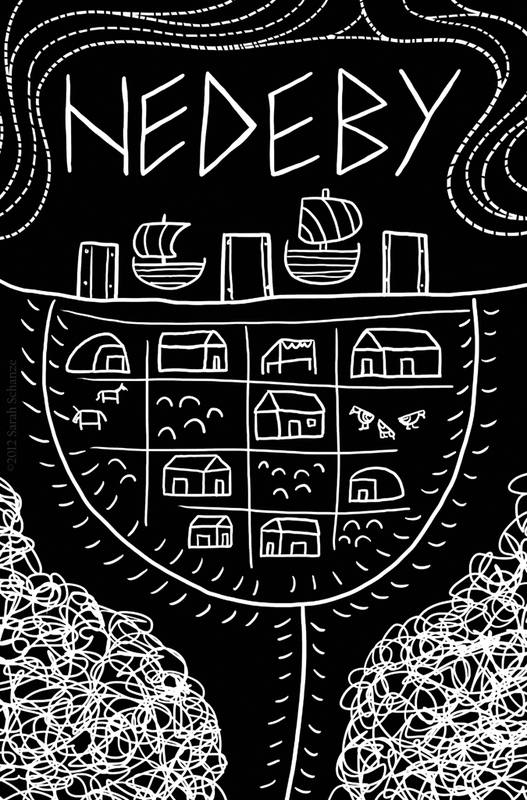 Hedeby could be a common name in Scandinavia, for all I know, but the Hedeby that Coal and them are going to is the Hedeby in present-day Germany. It’s not an island, and it’s all farmland now, but the wall that surrounded the town is still visible.